Ralf Schumacher has been letting off a little steam about Toyota after finally getting free of its F1 team. He points out that the company had no interest in employing Ross Brawn, its corporate view not allowing room for individuals who might actually bring about change. And Ralf should know, having spent so long in Toyota's employ, keeping his mouth shut in return for a handsome paycheck. I can't help but wonder whether it was worth all those millions, however. Ralf obviously wants to stay in F1 but is finding now that his Toyota years have just about done for his reputation as a driver. In effect, he was being paid to say nice things about the cars he drove while the company made him look a very ordinary driver indeed. His last chance appears to be that his friend, Vijay Mallya, will give him a seat with the fledgling Force India team; but that in itself is an indication of how far Ralf's stock has fallen. There was a time when he would have laughed at the idea of racing for such a team. Ralf's problems apart, he is obviously right about Toyota. The company is devoted to its way of doing things and will not bend to the more flexible and inventive requirements of F1. The company's cars are bult on the philosophy that tried and tested is best - and they have an enviable reputation for reliability as a result. But that approach does not work in F1, where innovation and change are the secrets to success. It is interesting that the racing team should follow the company philosophy so closely, however, and it suggests a principle that we could look at. Do all the manufacturers unconsciously bring their philosophies with them into the sport? Take Renault, for instance; do its F1 cars somehow reflect our perception of its road cars? Lots of family runabouts, practical cars that do what is expected of them, we think immediately. But that is not all. Take a closer look and you will see some very strange things for a company the size of Renault to be doing. Does anyone remember the Espace model that they stuck their F1 engine into, thereby creating the hairiest SUV known to mankind? And what about all those souped up Clios beloved of the few remaining boy racers on our streets? This is a company that knows where its bread and butter lies but is also in love with invention and speed - not a bad philosophy to go racing with. And then there's BMW, doing exactly what we expect of them - producing solid, reliable cars that perform well. Nothing too wild there, I grant you, but they'll try things if they promise to improve the product. Mercedes have avoided having to live up to the silver arrows of the past by merely having a close relationship with an existing team. But look at the team they chose: the one with the reputation for smooth efficiency and overpowering success in their good years. That seems to fit nicely with the company's ethos too. Even Honda, whose F1 engines became synonymous with excellence, were betrayed by their motor bike past this year. Born into bike racing, the company found suddenly that the techniques that brought success there do not translate into F1 wins. But at least they demonstrate the flexibility of an innovative bike company in recognizing where they went wrong and capturing the man who could turn things around for them. Ferrari are a thing apart, of course. Although largely in the hands of FIAT, they have been an independent manufacturer and race team for so long that they are the image and the philosophy of the company. So it looks as though car manufacturers do bring their baggage into F1 with them, unfortunately for Toyota. And, if that is so, there is a manufacturer that I would dearly love to see enter the sport. No, not Porsche, although that would be extremely interesting. And not VW/Audi, as so desired by Bernie Ecclestone. The one I'm thinking of is the Japanese manufacturer that really ought to be involved: Mazda. Small it may be but the Mazda company has more invention in its little finger than Toyota has in its whole body. And it races in other formulae with passion and flair, always willing to try something new and to take on the big boys. The costs of F1 racing will probably always prevent their giving it a go but, were it ever to happen, I reckon Mazda could build a winner. But I doubt they'd give Ralf a job. Ralf may have a problem getting the Spyker drive. Last week Mike Gascoyne said he would leave if they signed Ralf. Apparently Mike believes Ralf was reponsible for him being sacked by Toyota. In the late 70s and early 80s Renault constantly got grief for bringing their corporate philospohy into F1. It's failure to win a championship at that time was often ascribed to the same failings that Toyota exhibit today. Renault only sorted things out bu closing the team down, making engines for a few years then buying a successful team. So the answer for Toyota is easy. Close Cologne and throw money at Frank Williams. In a few years when he wants to retire buy the company. Of course many people came up with that theory some time ago. That's an excellent idea, Steven, but it seems even a tad too clever for the big T.
Today's truly successful F1 teams all have a tie to the racers of the 80's and 90's. BMW-Sauber. Merc-McLaren. Renault-Benneton. Ferrari-Ferrari. Honda is too far removed from Tyrells' glory days, as was BAR. The rest are either newcomers or re-badged also-rans. Toyota stands alone as a team created from a huge bank vault, located in their old European rally and sports-racing head-quarters, far removed from the passion and brains of England's motor racing heart. Williams stands alone as the last true independent, so your suggestion makes a lot of sense. Although it would be a true shame to see him retire, it is inevitable. Toyota needs the blood of a true racer going through its head. Not to say the Ove Anderson wasn't, but he lasted about as long as Mika Salo. I've been saying for a long time that Toyota should buy into Williams and close their own team down. But they haven't done it yet and don't even seem to be moving that way. They really are too rigid to understand the basic facts of life in F1. As for Ralf, I know he creates a lot of his own problems but Toyota let him down badly too - well, apart from the money, that is. He wasn't the only one who thought he was going to the team of the future and maybe, if they'd given him a car as good as his brother's, he could have achieved more. But they never developed the car as quickly as it should have been and only looked reasonable when the tyres gave them an advantage. I am pretty sure that Ralf's atrocious record this year is largely due to frustration followed by desperation. I imagine some sort of agreement whereby the Williams team remain intact but become known as the Toyota team, Uppili. It would in effect be Toyota withdrawing from the sport apart from supplying engines but not losing face as a result. As long as they try to run a team the way they have been, they lose more face than a quiet agreement with Frank would cost them! True it is a modest hatchback, therefore hardly registers on 'wow' factor. (Nevertheless, I love it dearly). But I have often wondered why the company has not been tempted into the F1 scene. For reliabilty alone they are hard to beat, and for innovation - well, how may other companies produce a rotary engine? As you mention Gone, they race in other classes with much flair. Ah well, maybe one day. Seems to me that Ralph sees his position only to clearly and has a taste of sour grapes in his mouth. Poor old Ralf - it's a sad way to end a racing career. Right fro its beginnings, Mazda was a company that was prepared to try new ideas and take chances. As a result they build some of the best sportscars that the ordinary man can buy. The rotary-engined RX-8 is just one example. They are the kind of manufacturer that could do well in F1, I'm sure. I"m not so sure it really makes sense for Mazda to involve itself in F1. They're doing a great job with their other racing activities and generating lots of positive image from them. To get involved in the politics and game-playing thats so rampant in F1 seems to me to not be worth the substantial investment required to compete. Actually, Don, I don't think it makes economic sense for any manufacturer to be involved in F1 - it's just too expensive. But it would be great to see Mazda having a go, even though their budget would be considerably smaller than Toyota's or Honda's. As you say, they're doing an excellent job in other forms of motor sport and I would love to see them try F1. Ralf's problem has always been obvious to me - he will always be in the shadow of his more successful brother. But his demise has been hard to watch I admit and he obvioulsy had well-documented concerns with the way his team were operating and in a way not suited to his liking. I admire the way he generally kept his mouth shut while there, he knew he could risk his future if he complained. Sign of a good professional in my book. Michael was always going to be a tough act to follow, it's true. Perhaps time will give us a fresh perspective on Ralf and we will see that, although he was not his brother, he was still a competent, if somewhat unlucky, driver. Yes he was, I just always felt he was in his brother's shadow and, maybe psychologically, that held him back a bit? A psychologist would no doubt have a field day investigating the relationship between those two brothers. Motor racing is nothing if not competitive and you can bet there was needle between them right from the moment Ralf took the same route as his brother. There were many occasions when Ralf admitted that he and Michael were not particularly close. I definitely agree that Mazda has great flair. Their advertising here in the US makes it clear that they are proud of their racing involvement, but mainly because they're involved at all levels of the sport. Their strength in racing seems to be not in having a flagship program but rather having their cars and engines involved in many aspects of the sport. From Spec Miata all the way to the ALMS, they're always there, not necessarily in a spectacular fashion, but just because it seems like they feel competition is important. Since F1 has such different values to the bulk of the rest of the racing world, I actually don't see it being a good fit for Mazda, regardless of their potential to do well. 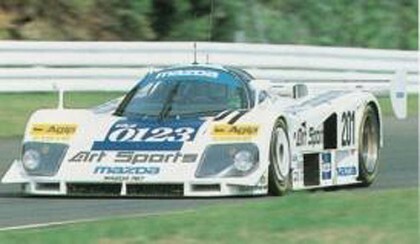 You may well be right, Neil - Mazda are perhaps too sports minded to fit in well with the overheated business world of F1. I would still love to see them have a go, however. They'd be some compensation for the demise of Minardi. To bad for Nissan, what you just wrote. Just the thought of the deploying the speed, power and reliability of their Nissan Skyline makes my head spin. But about the Toyota's. The do have streetracers like Toyota Supra. It have been one of the fastest cars on the streets for a decade or more, so if they just werent so affraid of listening to others, they might just make it.